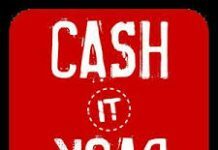 Quikr has come up with an awesome offer of Rs 50 cashback paytm coupons.You can get total of 2 Rs 50 cashback on Rs 50 paytm coupons. 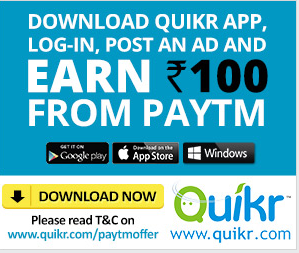 You will get one coupon when you register on Quikr and you get another code when you post your first ad. 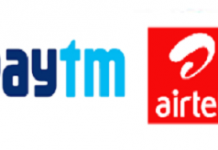 Both codes can be used on same number and in same paytm account. So you can get Rs 100 free recharge. 4. Now enter your name, email id, password and mobile number. 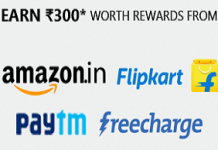 Your Rs 50 paytm cashback coupon will be sent to you via mail instantly. Done!! 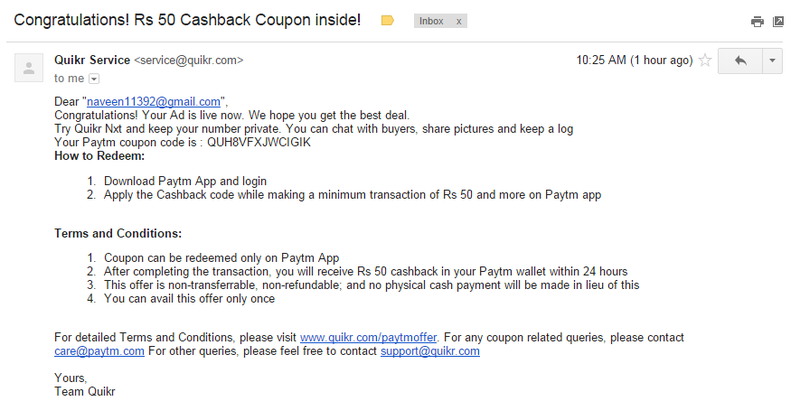 You will get another paytm coupon of Rs 50 cashback in your email account. Login/Sign-up on Quikr App is mandatory post download. 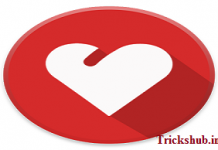 Coupon code cannot be sent without signing-up or Login with valid email ID. 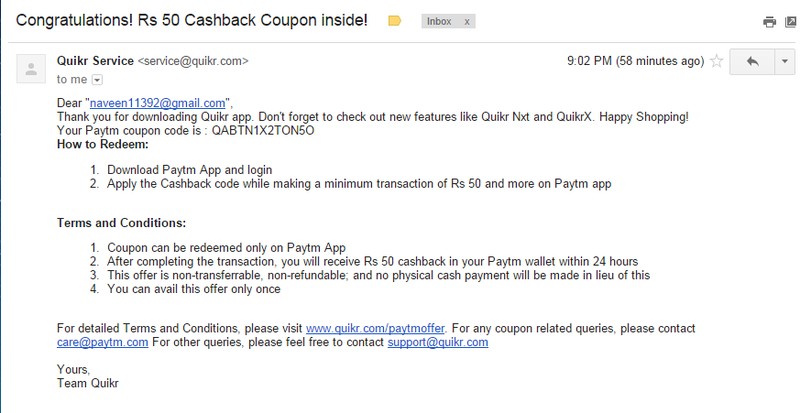 A user is not eligible for coupon if he/she uninstalls and reinstalls Quikr app. 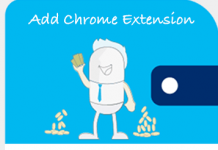 User will be sent Coupon code only after the Ad posted is validated. 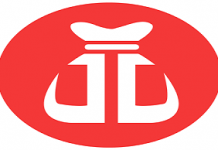 >>Invalid/Junk ads won’t be accepted. Quikr can change the terms of the offer or withdraw the offer completely anytime without any prior notification. First Of All Download Android Device Id Changer Click Here To Download. 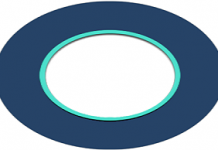 Open This Android Id Changer App And Change Your Android Id Randomly. Again Install Quikr App From Playstore or Install Latest Quikr Apk File If You Have Already In Your Sd Card. Again Do Same Process With Different Login Id Everytime. 50 rs ka Mail nai aa raha he…. Ullu to nai bana rahe ho na bhai??? Check Proof…I received… Read Terms & Conditions . But it should be on min 10 rs . It shows order on 50 or above. So we have to spend 50 rs..
Kya 1 se aadhik coupon ko ek hi number me redeem kr sakte h ? 2 coupon use kr skte ek id pe .. ek login pe nd ek ad post krne par .. Does the unlimited trick really works with rooted devices? naveen can you spare me a coupon if any? Thank u admin… Btw coupon ki validity kab tab hai? Any idea? how it works on youwave ?? ek number par bar bar kese rechrge hoga @admin ???? hey admin is it still working or not?